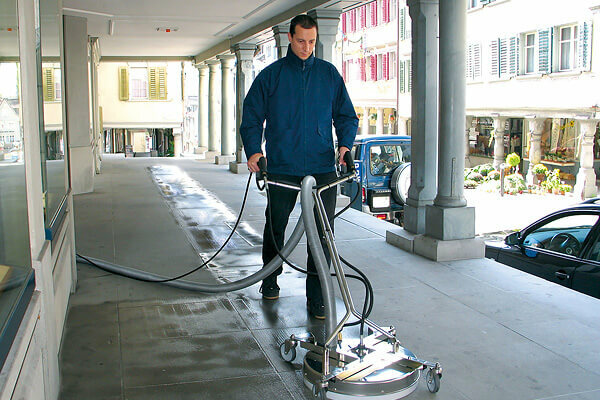 The surface cleaner is a very diverse cleaning tool used for various types of flat surfaces. 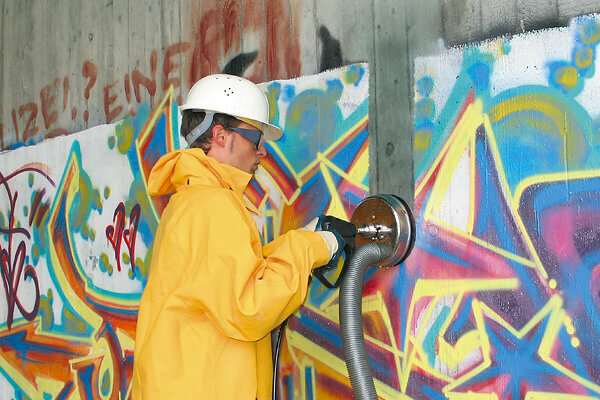 It is the perfect tool for removing dirt, paint, restoration, and graffiti removal to name a few applications. 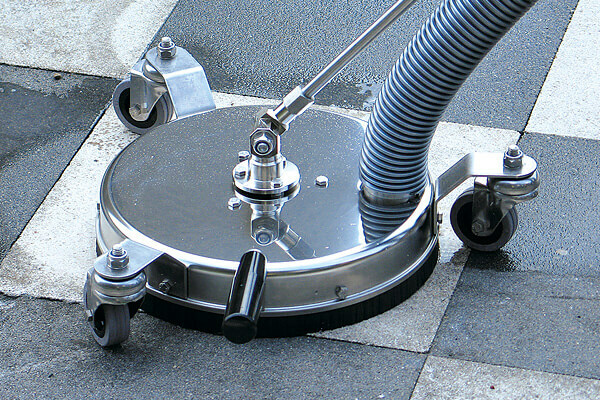 These surface cleaners are unique in that they also include a port for air recovery. 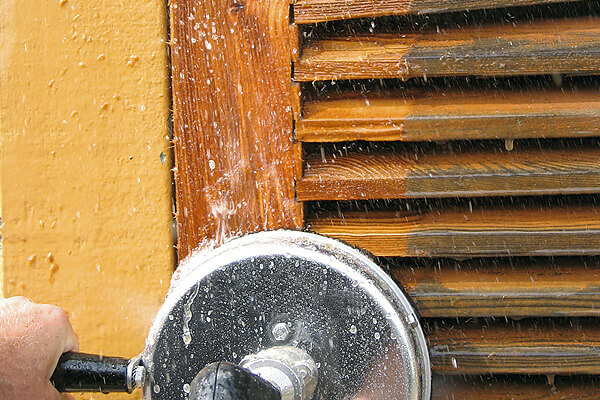 Hook up to your pressure washer and wet vacuum and you are ready for most any cleaning requirement. 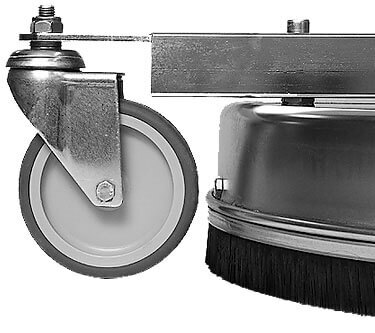 This surface cleaner comes standard with a plastic ring on the bottom which is approved for cleaning use in the food and clinical industries. 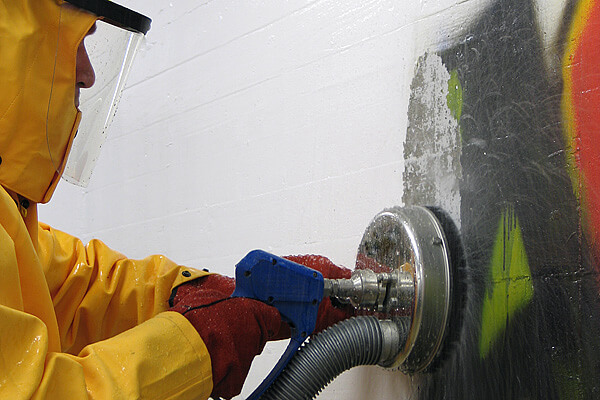 No over spray or flying debris, guarantees a safe and clean work area. 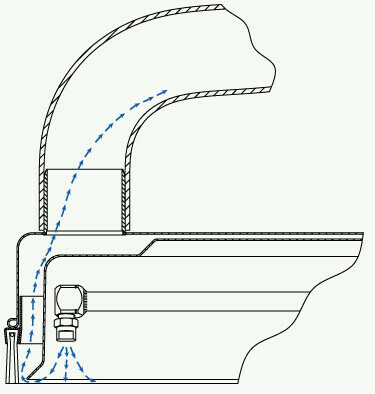 The 2” port can adapt to most wet/ dry vacuums for recovery of water as you work. The surface cleaner with capture port is constructed of stainless steel and uses a professional grade swivel and rotary arm. 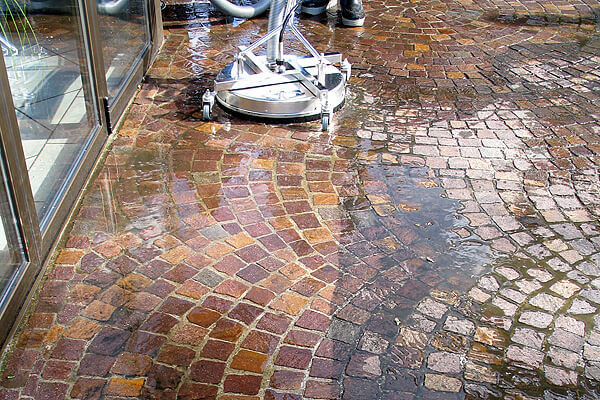 High quality Surface Cleaners with added Air Recovery Design. Can be hooked up to your existing vacuum to pick up waste water. 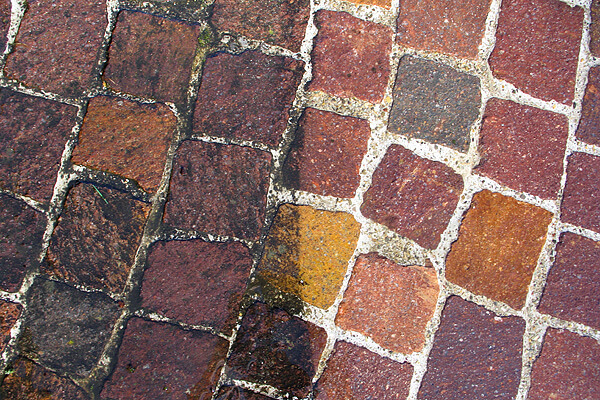 The perfect tool for removing dirt, paint, grime and even graffiti from a wide variety of surfaces. 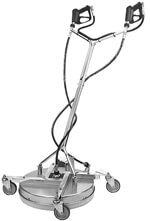 Features include: Stainless steel deck construction, high quality swivel and a HP-Gun. The professional line is ready to use with no tools required for assembly. Surface Cleaner with 36” Lance and toggle swivel for vertical or horizontal surfaces. 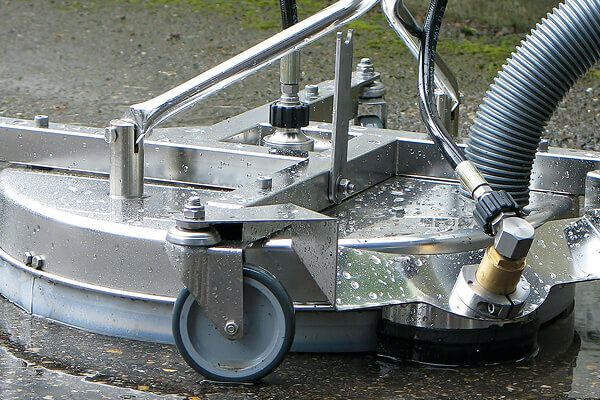 This water capture tool includes non marking castors. 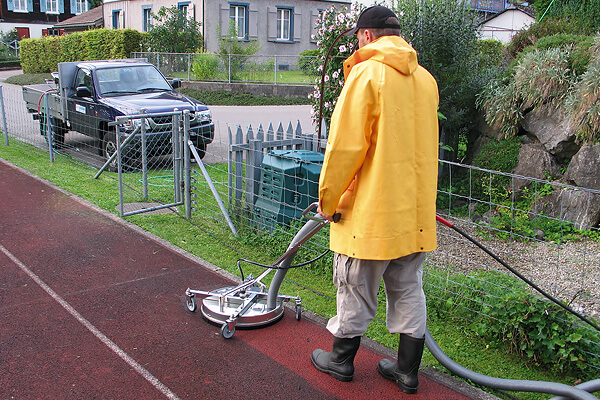 It is great choice for RV’s, boats, stadium stairs, sidewalks, carwash walls, and kennels. Height adjustable Surface Cleaner with Air Recovery will allow you to connect a vacuum cleaner and get cleaning results like never before. 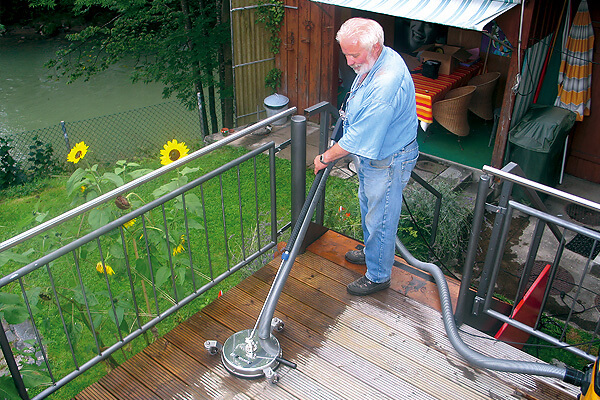 The surface cleaner will recover dirt and grime from most any cleaning job. 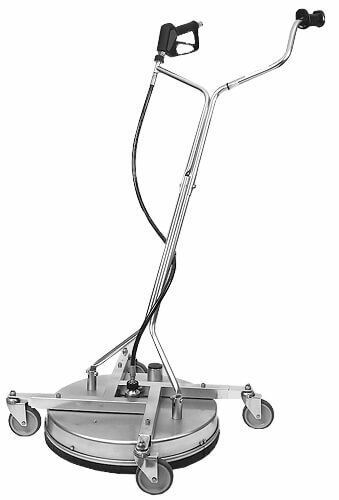 An ideal solution for indoor or outside cleaning, it can clean gas stations, industrial food processing plants, garages, warehouses and more. 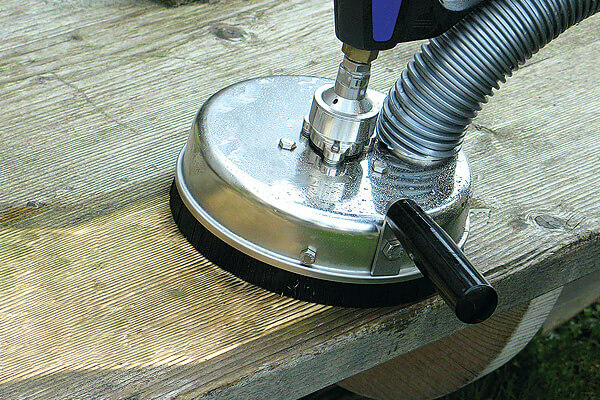 Height adjustable Surface Cleaner with Air Recovery and Gum Remover Attachment is the ultimate tool. You may have noticed a lot of streets in public places, like municipal parks, railroad stations and schools are covered with chewing gum. 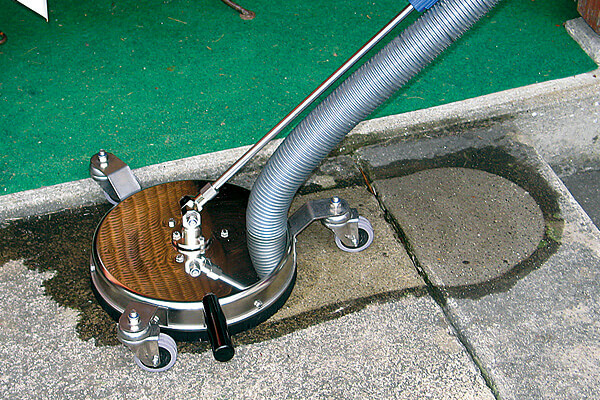 The special water capture tool with gum remover nozzle is mounted on the back of the cleaner. The right hand gun is for the surface cleaner and the left hand gun is for the gum remover or other tough spots. The flat angle of the nozzle lifts and breaks up the gum for easy removal. Gum Remover Nozzle is a high grade ceramic nozzle designed to last a very long time. It uses 16 fixed zero degree points of pressure to shatter and blast away gun. This is proven to be much more effective that a standard zero degree nozzle. 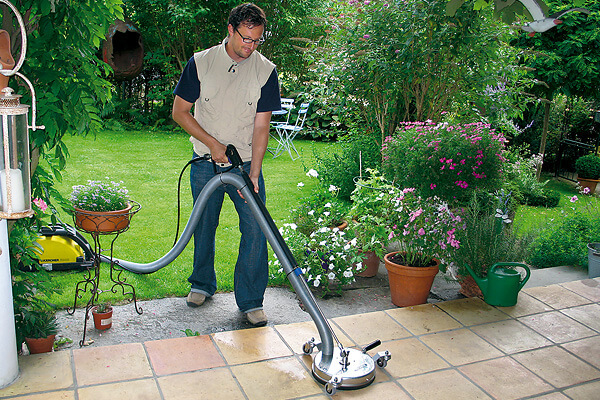 Height adjustable Surface Cleaner with Two Air Recovery Ports give you increased water lift capacity when coupled with both a stronger wet/ dry vacuum and a more powerful pressure washer. This unit gives you enhanced productivity due to its size. High quality wet/ dry vacuum with Auto Discharge Feature is compact in size but heavy duty for any commercial application. 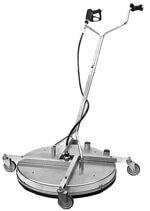 Vacuum comes with rear wheels and front castors for easy maneuvering. 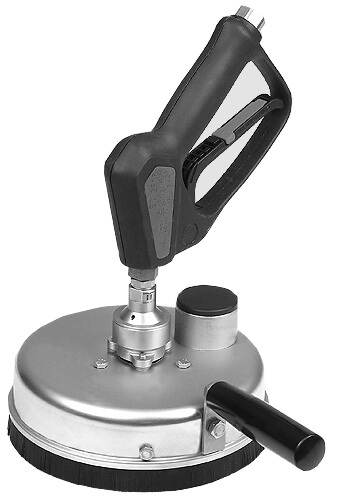 Handles are included for easy lifting. Liquid shut off and washable filters are standard features. 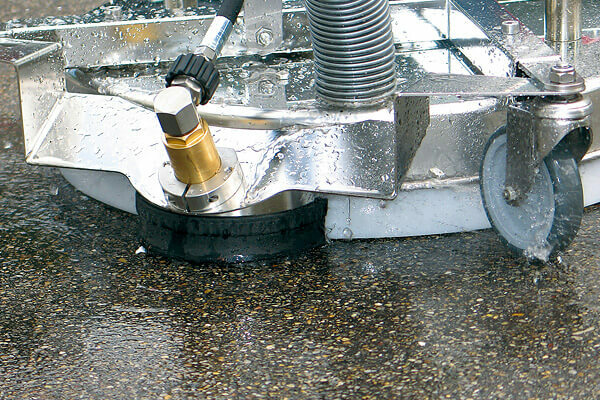 Discharging liquid simultaneously with pick-up eliminates the time-consuming task of dumping every few minutes during a large job. 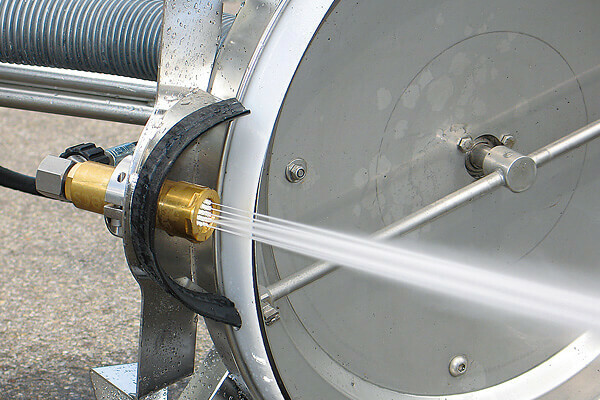 On jobs where the liquid needs to be segregated, it can be directed by hose to a holding or recovery area. The individual switches for the vacuum and pump mean you can maneuver the wet vacuum to numerous places and recover the water, before turning on the pump to empty the reservoir tank. If you wish to have them both running simultaneously, the pump will be handle 40 gallons per minute. Requires 1” discharge hose (not included). 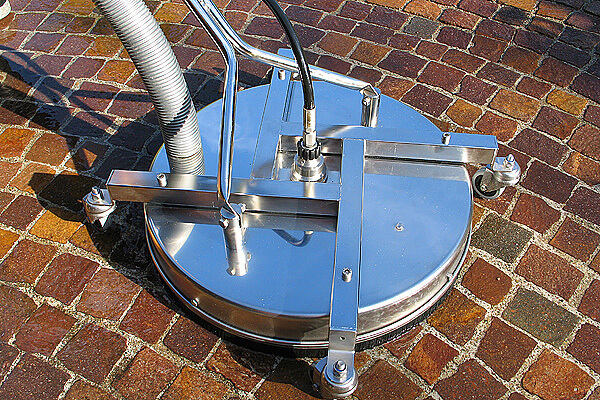 This unit makes a great compliment to the surface cleaners with capture port shown above.